The Scriptures teach that the god of this world has blinded the mind of the unbeliever. Nobody has ever been reborn without Spirit-inspired prayer. If we don't put ourselves in a place to pray for the people around us, then how will they come to Christ? All the radio programs, services, preaching and reasoned arguments will fail. For so long we have used prayer to prop up so-called ministry in America. Whatever we do, we want prayer for that thing. But it should be the other way around, for prayer is the purpose, as well as the means. We pray to pass tests, pay bills and to gain sermons, but seldomn to we pray to pray. It is time to change. Prayer is the most important channel; One paid for in Blood. 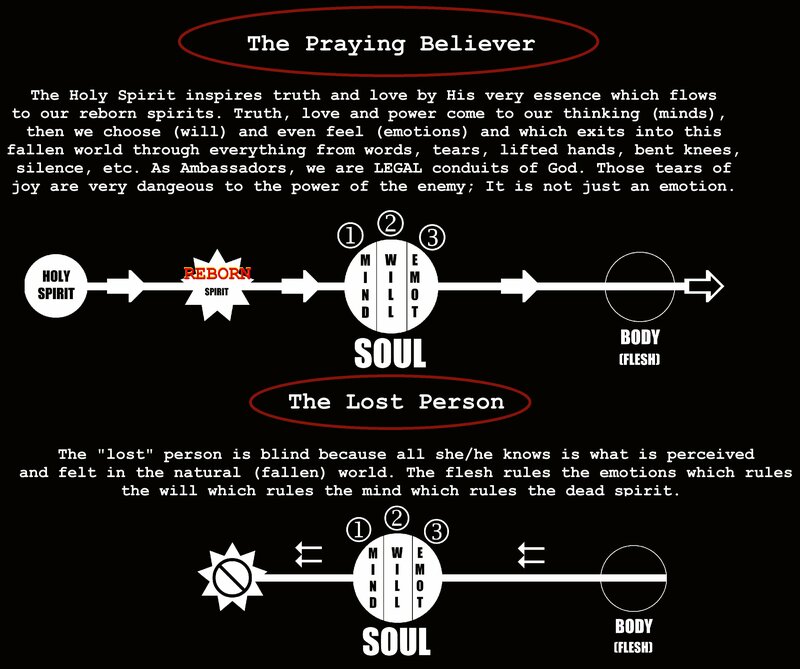 We MUST return to seeking God so He can give us the passion and power to pray so God can confront the lost Himself. We are His legal entrance into this fallen world. We are conduits of Him. Our disobedience to the command to seek God costs lives.